Infusion of technology and education has seen tremendous results in the case of startups like Byju, Edureka, Simplilearn and others. While urban education has benefitted from this immensely, the rural sector of the economy is still grappling to see the benefit of this amalgamation. Entrepreneurs have often cited that with the penetration of smartphones and technology in rural and tier 3 towns, the education sector is bound to benefit immensely. 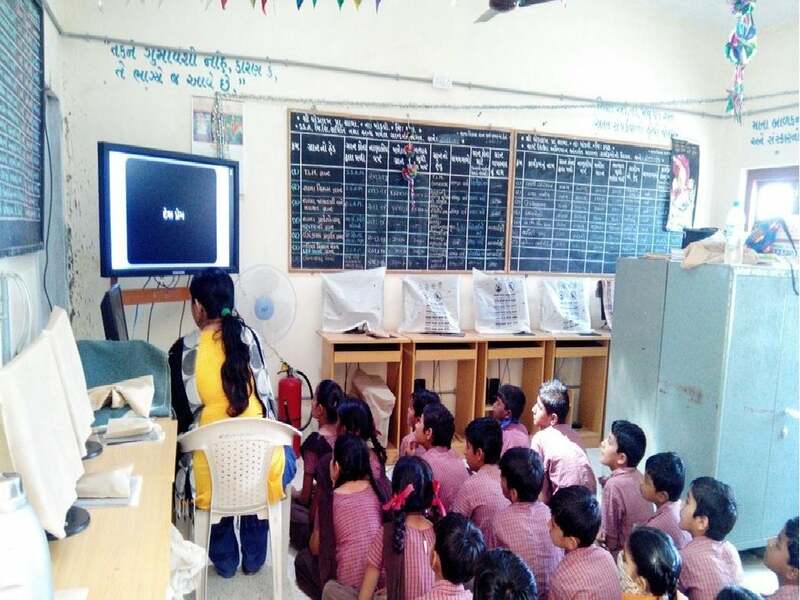 Learning Delight was started four years ago with a focus to reduce the education gap between the urban and rural schools of Gujarat with use of technology. It aims to revolutionize the education quality by digitizing the schools in rural and Semi-urban area. The company started with five schools and is currently functional in 3,300 rural government schools spread over nine districts of Gujarat. Hence, it aims to contribute in the vision of our Prime Minter Narendra Modi's 'Better India'. While founders Harshal Gohil and Vandan Kamdar were pursuing their MBA at Nirma Institute of Technology , they were learning about the teaching process in rural areas. "The first obvious observation was that in rural areas the teachers were not very well-versed with English. Majority of the technology initiatives in this domain were in English, which created a slight gap in the system. So we made sure, that whatever we do should have the regional language component in it," Harshal said. The founders also observed that teachers weren't very comfortable with the usage of computers. Over a period of time the founders realized that the teachers were comfortable with the usage of textbooks which pursued them to convert their content into e-books. Learning Delight aims to make learning a delightful experience by incorporating animation, riddles, puzzles and stories are aligned to support teacher and class interaction - based on state board curriculum making prescribed textbooks fun and easy. According to the founders, the Gujarat government has installed computers across 25,000 to 27,000 schools which acted as a catalyst to these founders to simply provide these centres with the right solutions. According to Harshal, the strategy that one needs to implement in edtech startups must be on understanding the requirement of the startup's target customer/audience. Post that one can use his creativity and technology in bridging these gaps. Recalling some of the company's success stories, Harshal remembered one incident wherein there was a shortage of teachers at a school. A very bright student from those schools started using the company's platform to impart his knowledge to other students. This made the company realize how students could use the same tool to impart their knowledge and the product shouldn't be only teacher centric, Vandan said. The company plans to implement vernacular content in other states like Maharashtra, Madhya Pradesh and Rajasthan. The content for Rajasthan is expected to be launched in the next two to three months.